The first concert I ever attended was in October of 1983 at the Greek Theatre in Berkeley (est. 1903). The band headlining the historic venue that night was 80s juggernaut, Men at Work, from Australia. I must have been one of the youngest attendees there that autumn evening, as my sisters who brought my brother and I there that fateful night could not have imagined that I’d catch the live music bug that has stayed with me over 30 years later. I had discovered something very special. As I got older I began to realize that Californians are so very fortunate to have dozens of historic music venues throughout the state at our disposal, ranging from tiny theaters with a capacity of just a few hundred, to much larger venues that hold well over 10,000. The unique variety of venues and settings make for unforgettable experiences for both the attendee and the artist. For fans of live music, this is what it’s all about; the reciprocal experience and the magic that takes place on a night when all is well with the world. Image Courtesy Volker Neumann 1. 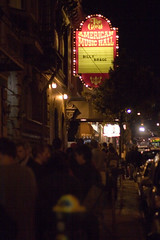 Great American Music Hall, 859 O’Farrell St., San Francisco (est. 1907) This elegant venue–with its sordid history–is arguably the finest of its kind and continues to host established bands and artists several nights a week (capacity 600). You can stop by Tommy’s Joynt on the way, which is just up the street. Image Courtesy Thomas Hawk 2. 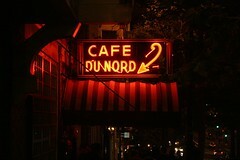 Cafe Du Nord, 2170 Market St., San Francisco (est. 1907) Currently being remodeled during an ownership change, this cavernous venue is unique for both its underground hideaway feel and the fact that it was once a speakeasy during prohibition (capacity 400). It’s right on Market Street near the Church Street MUNI station and one of the City’s best bars: Lucky 13. Image Courtesy BWChicago 3. Paramount Theatre, 2025 Broadway, Oakland (est. 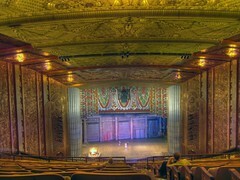 1931) This awe-inspiring theater, with its art deco details is truly a step back in time to a bygone era. Walking into the Paramount makes you feel like you are experiencing something much more than just a performance (capacity 3000). Image Courtesy Mark Krynsky 5. Santa Barbara Bowl, 1122 N. Milpas St., Santa Barbara (est. 1936) This historic outdoor venue has recently been extensively remodeled and a show there is a great way to spend a summer night in paradise (capacity 4,600). It is managed by the not-for-profit Santa Barbara Bowl Foundation. Image Courtesy MargaretNapier 6. 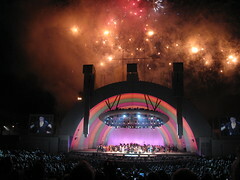 Hollywood Bowl, 2301 N Highland Ave., Los Angeles (est. 1922) Widely considered one of the finest live music venues in the world. The history of The Hollywood Bowl is something so special, they have their own on-site museum. Everyone should attend a show there at least once in their lifetime (capacity 17,400). 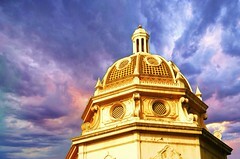 Image Courtesy Archive.org 7. 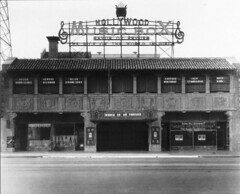 The Fonda Theatre/The Music Box, 6126 Hollywood Blvd., Hollywood (est. 1926) This modest, quaint theater is the perfect size (capacity 1,200) to see one of your favorite bands. Right in the heart of Hollywood near the Frolic Room: one of the best bars in L.A. Image Courtesy Joshua Smelser 8. 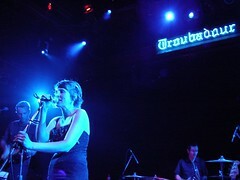 The Troubadour, 9081 Santa Monica Blvd., West Hollywood (est. 1957) Another L.A. music venue with an incredible amount of history, the tiny Troubadour (capacity 400) has been the starting point for some of the world’s most accomplished artists for decades and continues to be a vitally important venue for fans and artists alike. Image Courtesy Amy Meredith 9. Uptown Theatre, 1350 Third St., Napa (est. 1937) This restored art deco gem is a historic landmark and is the ideal size for a venue of its kind (capacity 900). In the heart of downtown Napa, the Uptown hosts an impressive array of established artists. Image Courtesy he who would be lost 10. 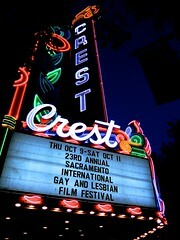 Crest Theatre, 1013 K St., Sacramento (est. 1912) In the heart of downtown, the Crest has survived many changes and been resilient throughout the decades, which continue today. Its neon marquee is one of the best of its kind, and is home to several annual film festivals (capacity 1000). Image Courtesy Nick Ares 11. 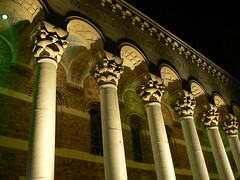 Memorial Auditorium, 1515 J St., Sacramento (est. 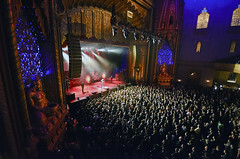 1927) Listed on the National Register of Historic Places, the Memorial Auditorium has hosted performances by some of the most important bands and artists for decades and also serves as a multi-purpose venue for many events throughout the year (capacity 3,800). Image Courtesy Onasill ~ Bill Badzo 12. 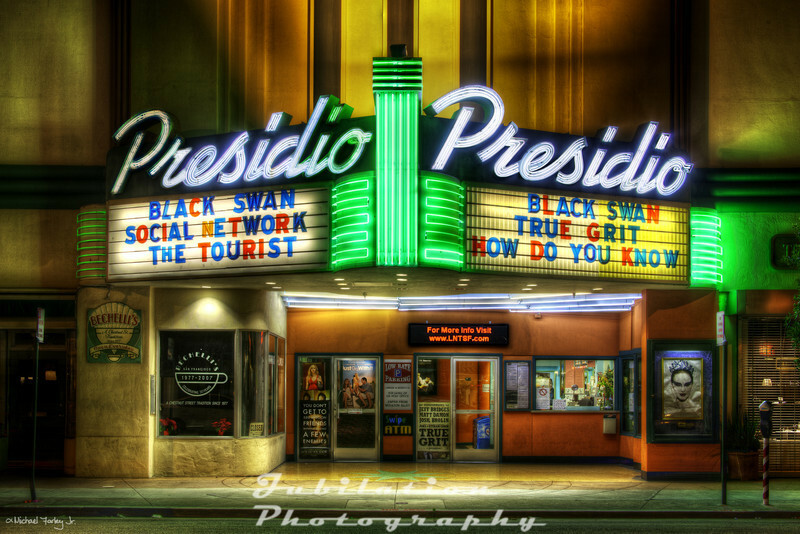 Balboa Theatre, 868 Fourth Ave., San Diego (est. 1924) Also on the National Register of Historic Places, The Balboa Theatre recently reopened after being shuttered for over 20 years (capacity 1,300). Restored to its former glory, this Mission/Spanish Revival masterpiece is arguably the finest venue in the city. Image Courtesy Riff55 13. 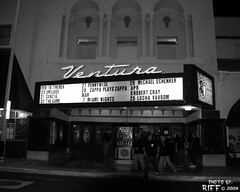 Ventura Theatre, 26 S. Chestnut St., Ventura (est. 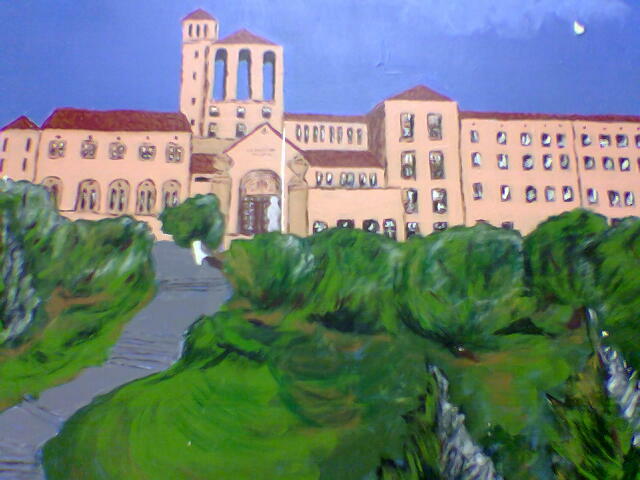 1928) Another beautiful landmark, which hosts an impressive mix of artists, is a true treasure (capacity 1,200). 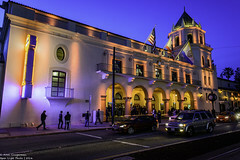 Just off of Main Street in charming downtown Ventura, a better night out is hard to imagine. Image Courtesy Cadking3 14. Selland Arena, 700 M St., Fresno (est. 1966) Another large, historic multi-use venue that has hosted an array of concerts by some of the biggest names in music for over five decades (capacity 11,300). The Selland Arena recently underwent an extensive remodel to improve the visitor experience and continues to draw bands and artists of all genres. Image Courtesy aron cooperman 15. City National Civic, 135 W. San Carlos St., San Jose (est. 1933) Located in downtown San Jose and just a few blocks from San Jose State University, the City National Civic is a Spanish California Mission style venue that has a long history of a wide variety of events (capacity 3000). A recent major renovation project has restored the venue and has drawn many established acts since. I’ll put it on my list… Thanks Ronald.